(LGW-OPO/LIS-LGW). TAP Discount fares fractionally exceed what Easyjet charge. About right for a full- service but distinctly average airline. 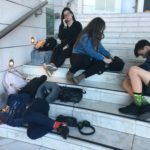 Lisbon airport was chaos; queues disorderly and mismanaged. Chunky leather seats (viz. the new slim seats on LH A320s) though comfortable bordered on the claustrophobic. No vegetarian option available at booking or in-flight (and I doubt my companion was the sole vegetarian onboard) but FAs handled our complaints/queries compassionately and professionally. Very friendly and courteous staff from check-in to disembarkation. Loved the safety video - one of those rare moments when you actually crack up during a flight. EWR-LIS 6/14/12. Check in was fast and efficient flight departed according to schedule in flight meal was average very impressed by the in flight entertainment system and it variety of movies TV shows music and games. Cabin Crew were attentive to my needs throughout the flight. Overall very good experience from TAP. June 26th I flew from Fortaleza to Lisbon continuing on to Dusseldorf with a return on July 2nd from Dusseldorf via Lisbon to Recife. Pleasantly surprised with the flights. After some of the negative comments I was not expecting much but TAP has surpassed my expectations from dedicated check in at all airports to separate busses upon arrival and departure in Lisbon to and from the gate. Staff were friendly the food was great and during heavy turbulence the captain kept us very well informed in Portuguese and English on the progress of the flight. All in all I would definitely fly them again. Outbound flight MUC-LIS delayed six hours. Inbound flight appears as cancelled on Lisbon airport website due to planned four day pilots strike. TAP tell me the flight is still on I travel to the airport six hours early to get rebooked on anything going back to MUC and they still deny it is cancelled. After lining up for one hour get rebooked onto a Lufthansa flight by a TAP agent. MIA-LIS-MAD-LIS-MIA in late June. Aircraft from MIA to LIS was an A330. All A330 have in-seat individual screens and I understand that about half of their A330 fleet has updated IFE but neither the MIA-LIS nor LIS- MIA flights were aircraft's with the updated IFE. Nonetheless there was still a decent selection of TV shows and movies in English. 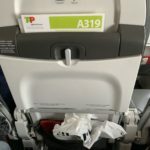 I usually fly Iberia to Spain so TAP is a huge improvement in the IFE area as Iberia does not have individual screens. I was able to secure exit row seats in all flight legs when I checked in online and at no extra cost. In flight service on the MIA-LIS was lacking a bit. After dinner service they mostly disappear. On the daytime flight returning to the US they were more attentive however they ran out of meals and we were not able to have a choice. Fish was the only "option" and as I don't eat fish I wasn't able to have lunch. Next time I will request a special meal. We weren't even in the back of the plane rather in row 28 and they had run out of meals. The only major scare in general was the ATC strike (which got called off). 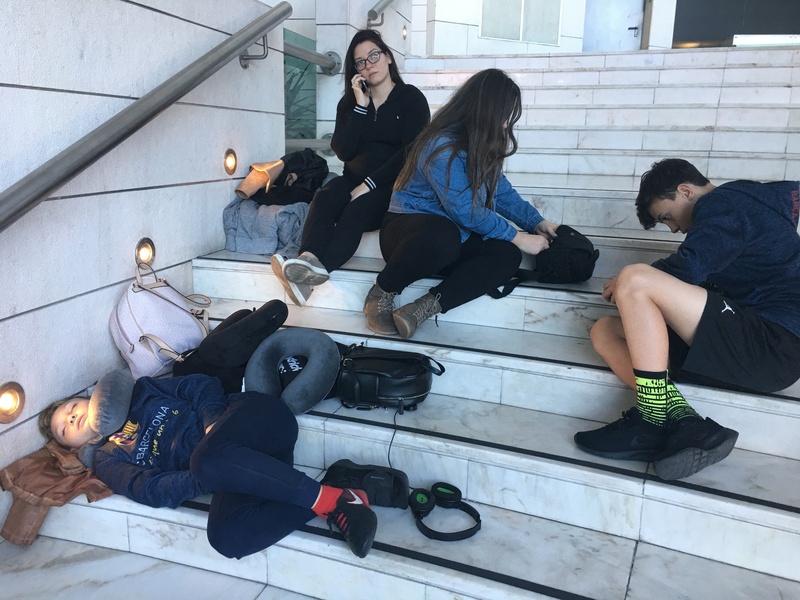 Otherwise I found the Lisbon airport to be a bit disorganized so I'd give yourself at least two hours when leaving from Lisbon (at least on the transcontinental portion as there were no mazes to navigate when going from Lisbon to Madrid). Also a tip is to print your boarding pass in advance as the check-in line for TAP in Lisbon was incredibly long. As I had checked in online and printed online I was able to go to the baggage drop off station which had maybe one or two people in line ahead of us. In sum I would fly TAP again. Flight: In last month. LGW-FNC return. Seats good and flights on time. Catering offered very poor and drinks service even worse. No hot food at all. No in flight entertainment. FCO-LIS-GIG-LIS-FCO. The Fiumicino-Lisbon legs were on A319; Lisbon-Rio and return on an A340. 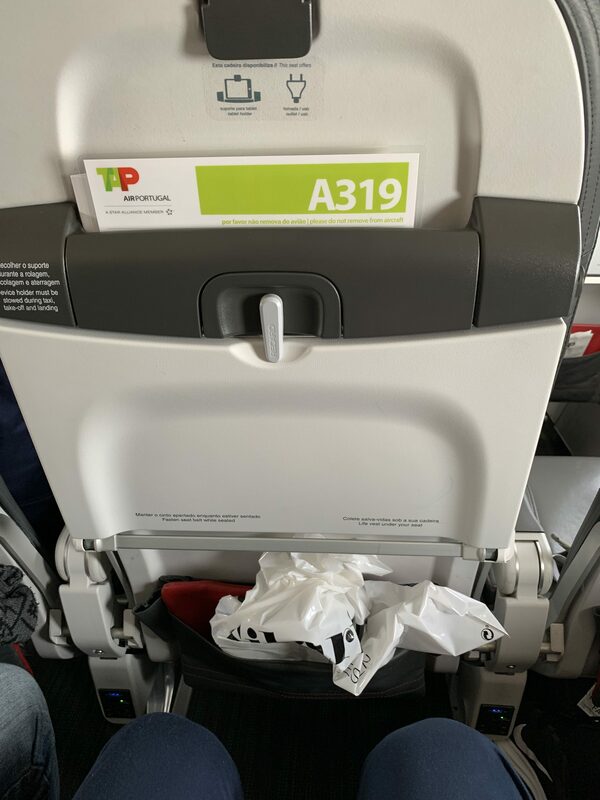 I carefully booked in advance seats on all legs so I could choose seats with a lot of space (27J on the routes from Europe to Brazil and back). 27J has a lot of extra room for legs since it is near the emergency exit and is the first to be served. It is also close to toilets. The A340 is old with practically no IFE and food is very basic. However I found seats to be reasonably comfortable and could sleep in both flights. In the leg from Lisbon to Rio the flight was practically full; in the way back less than 50% of seats was occupied. 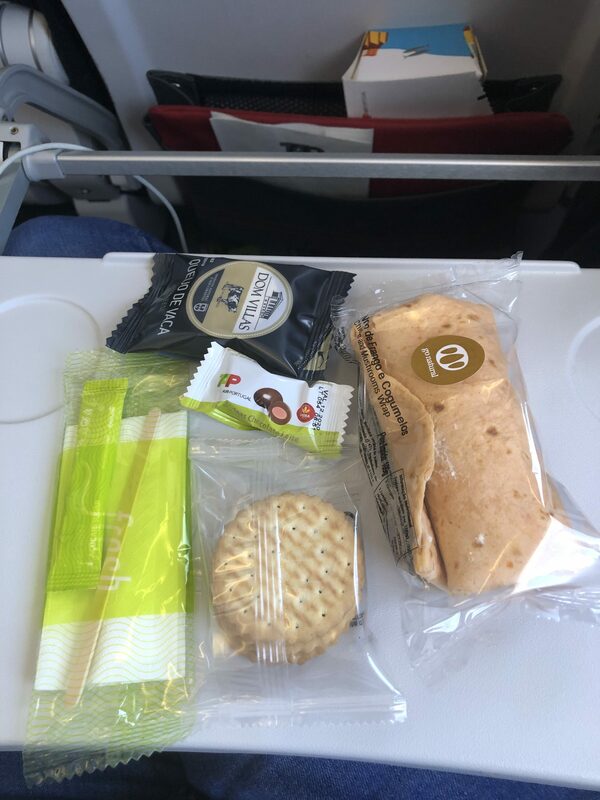 European legs were also fine: food served is also very basic (including an uneatable sandwich) but at least there was some IFE with flight information. Overall all flights were not that exciting but always on time and transfer within Lisbon airport is pretty fast. Given the price paid (all other airlines were charging much more for the same route) I am satisfied. We sat on the tarmac at Newark for an hour and a half. Same thing on the way home to the USA. But I don't blame the airline for that. The service was good food was good and processing through to the plane was as efficient as could be expected. I don't have any real complaints. I guess it's that I don't expect to be catered to on airplanes anymore unless I'm in business or first class. My overall experience was positive. It seems like its a good airline and it's well run. LGW - FNC and return. We usually fly easyjet but they've reduced the number of flights. What a pleasant surprise we got. 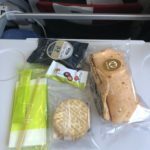 Flights were fantastic crews were excellent and food and drink are included in the price. The flights were also cheaper than easyjet. The only slight drawback is the early flight time from LGW. Guess which airline we'll be using in future. Newark to Lisbon delayed 3.5 hrs while the plane sat at terminal. Flight crew casually strolls to the gate 5 minutes before boarding was supposed to start thus delaying that further. Very old plane and staff help on the ground at Lisbon even worse. Terrible experience.